Judy Folkestad, 71, Clark, SD, the mother of Kathy Rhody and Colette Barton of Wyndmere, ND passed away on Sunday, December 2, 2012 at Sanford Palliative Care, Fargo, ND after a short and sudden illness with cancer. Funeral services will be on Saturday, December 8, at 11:00 AM at Plymouth Congregational Church (UCC), Clark, SD with Pastor Fawn Lamb officiating. There will be a visitation on Wednesday, December 5, from 5 PM to 7 PM at the United Methodist Church, Wyndmere, ND and another visitation on Friday, December 7, from 5 PM to 7 PM at the Plymouth Congregational Church (UCC), Clark, SD. There will be a prayer service at both visitations at 7 PM. There will also be visitation one hour prior to the service at the church on Saturday. Interment will be at a later date at Elk Creek Cemetery, Wyndmere, ND. Vertin-Munson Funeral Home, Wahpeton, ND and Furness Funeral Home, Clark, SD are entrusted with arrangements. Judy was born on March 28, 1941 the daughter of Ardean and Barbara (Schneck) Graff in Clark, SD. 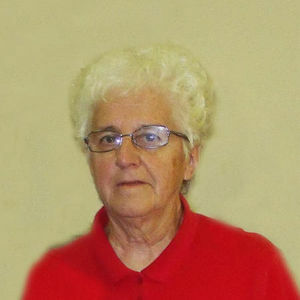 She grew up and attended school in Clark and graduated from Clark High School in 1959. She attended Huron College where she received her Bachelor's Degree in Education. Judy was united in marriage to Glen Folkestad and to this marriage two daughters were born, Kathryn and Colette. Judy lived most of her life in Willow Lake, SD where she taught Language Arts and the sixth grade. Overall, she taught for fifty years and was teaching 3rd generation kids when she retired in 2010. She was presently living in Clark. Judy was a member of the Plymouth Congregational Church (UCC). She liked to take care of her yard and flowers and also enjoyed decorating for the holidays. Her main love in life was her family, especially her grandchildren. She would do anything for them and made many trips to North Dakota to take care of them. Judy touched a lot of lives in many places and will be remembered as a loving person to all. Judy is survived by her daughters, Kathy (Joel) Rhody, Colette (Jason) Barton, both of Wyndmere, ND; her grandchildren, Austin and McKenzie Rhody, Cindy, Colson, Connor, Jason Paul, and Serenity Barton; her great-grandchild, Lavinia; her brothers, John (Kay) Graff, Annandale, VA, Paul (Carolyn) Graff, Leawood, KS; her sister, Bette Gerberding, Brookings, SD; and many nieces and nephews. She was preceded in death by her parents, Ardean and Barbara Graff, and her sisters, Ruth Graff and Jayne Lien. Collette and Kathy, I just found out about your mother tonite after the basketball game. I am so sorry for your loss. She was a wonderful lady and I enjoyed visiting with her at sporting events. Your kids were lucky to have her as a grandma. My deepest sympathies, Colette. I will be keeping you in my prayers. So sorry Colette. Thinking of you. Our thoughts and prayers are with you at this time. We love you. My fondest memory is at all the Graff Reunions. Judy and her parents always made everything go great for the rest of the family. Thoughts and prayers go out to all of you. Jason, I had the privilege of your services when my mother, Sadie Spear, passed away. It is truly a small but wonderful world. Wyndmere, where we have relatives, Jan Springer who is connected to you, Clark, SD which is so close to me. Such a young woman to lose, I hope she didn't have to suffer much. God be with you and comfort you.